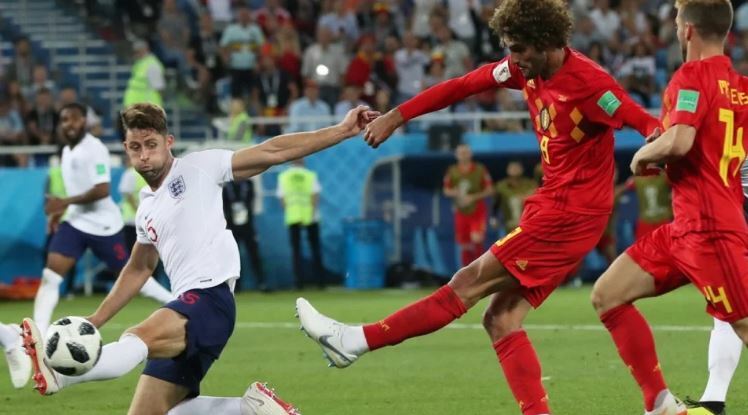 FIFA World Cup: What went wrong for Belgium and England? We now have our two finalists for the FIFA World Cup final which will be played on Sunday. On Saturday though, Belgium and England, the two losing semi-finalists take on each other for the third-place playoff, which is always a bit of an anticlimax, especially if the teams participating in it had ambitions of going all the way in the World Cup. This is especially true for Belgium who were among the pre-tournament favourites as one of the top football sides in the world. The current lot is being dubbed the ‘golden generation’ of Belgian football – and with the likes of Edin Hazard, Kevin De Bruyne, Romelu Lukaku and indeed a formidable backline, nobody would argue against it. Belgium then went on to add to their billing by being the only semifinalist that had entered the final four having won all of their matches in the tournament so far. They did so without having been taken to extra-time. And after beating the mighty Brazil in the quarters, Belgium were being touted as the favourites in many quarters. The only other time to rival this billing was the French side that they came up against in the semis. And where France outdid Belgium was plain old tactics. It’s true that the Belgian frontline couldn’t come anyway near the level they had exhibited against Brazil, but that is also because France never allowed them to play. Despite a vulnerable defence, it was the midfield where France outthought Belgium by keeping things compact. The French side had seen what the Belgian attack can do if you take the game to them, which Brazil had done in the quarters. So, they decided to shore up the midfield, and take the role of the counterattacking side instead. N’Golo Kante was immense as usual, with Paul Pogba also doing more defensive duty than his contributions in the final third of the pitch. Belgium clearly weren’t ready for this and had expected France to back their frontline led by Kylian Mbappe and Antoine Griezmann to be more expressive from the get-go. This is reflected in the post-match statements given by Hazard and Thibaut Courtois, lashing out at France’s style of play. Meanwhile, England underwent something in complete contrast to Belgium. They weren’t among the pre-tournament favourites, and in all honesty, a quarterfinal place would’ve been a success story. Little wonder then that a first semifinal for 28 years is being cheered as a major accomplishment back home. But what is also true is that England had a significant rub of the green with the draw, which meant that they didn’t have to beat any of the top-drawer sides all the way to the semis. Beating Panama, Tunisia, Colombia and Sweden, is a very rare path to a World Cup semifinal in terms of the pedigree of the opposition. That is why they came unstuck against the first quality team that they came up against in the shape of Croatia. What also worked against the English side is the fact that they got their goal in the semifinal too early, and then just chose to sit back against a Croatian side that just grew in strength as the time went on and as they continued to be more expressive. Even so, England have a promising squad, led by the formidable Harry Kane, which can grow into a force over the next couple of international tournaments. Both Belgium and England can build on their World Cup shows for Euro 2020 and the 2022 World Cup in Doha. But yes both, especially Belgium, would be dejected at having to play on Saturday and not Sunday.